In 2007, the model Maestro was presented at the music fair in Frankfurt, with great success. This model demonstrated the idea of creating an individual instrument which follows the basics of a Stradivari, but has specific distinguishing features of its own, such as the curvature, the scroll, and the f-hole, making our model special. It also unites high, radiant sounds very well with the wonderful, deep timbre of the G-string. 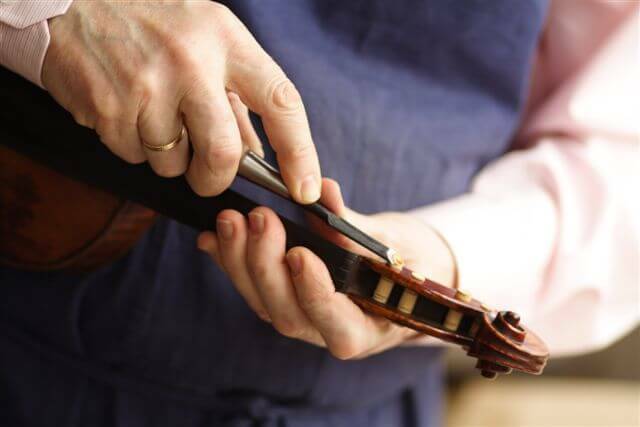 Due to the nature of the wood, the violin belly and bottom have to be carefully cut and prepared to obtain the best sound possible. The gluing of the perfectly fitted bass bar has to be done with great precision, as this is a major factor to the sound quality. Here, a special alcohol-based varnish is applied by hand. 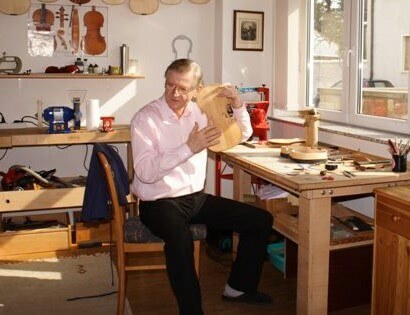 For every model of the Maestro, Janos Ecseghy personally does all the preparation. Our instrument with the highest degree of elaboration is the “Maestro Special”. This instrument is the pure sign of professional handwork as seen with the careful preparation and assemblage. It has proven itself at the highest level as a solo instrument. Due to the large amount of effort put into the creation of this instrument, we custom make single instruments of this kind, specialized to fit perfectly to an individual musician. The body is constructed out of sound wood that has been stored for at least twenty years. Therefore, we do not have any in store, but specially prepare one upon request. 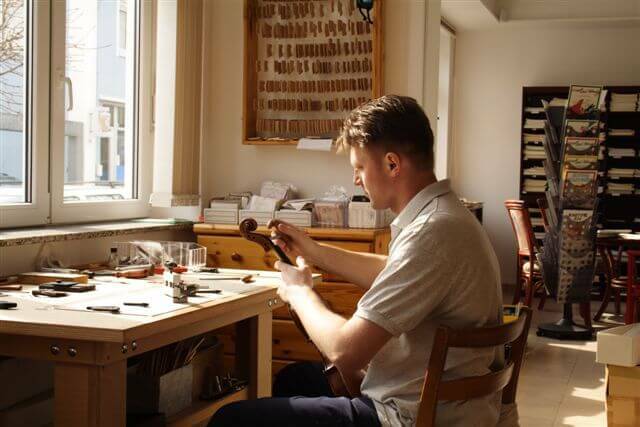 Based on his own life experiences, Janos Ecseghy sees the importance of offering good quality instruments with a reasonable price range to musicians. Therefore, the various other models, Maestro Superiore, Maestro Grande, and Maestro Classic, are prepared and available for a less expensive price. This instrument is built out of beautiful, noble sound wood. It greatly resembles the characteristics of the Maestro Special, and is once again a carefully prepared work of art. Varnish is applied to this model upon request.